When I read it somewhere I didn't know it is tragic. I gave 4 stars cause I hate tragic story but I honestly like the MC and side characters. I just don't like how it ended. I just feel that the MC deserves better. I loved it! From start to end. It lured you in with a seemingly soft and classic romance with a hint of mystery. Until it stabbed you in the gut with a plot twist that re-evaluated everything that you have been cheering on from the start! I see people not liking the ending but I personally loved it. It just feels so poetic. It's like they're back at the start in that garden for the first time. But, by the end of it, a lot of things have happened and many secrets were uncovered that the readers know and feel that everything has fundamentally changed. You would visually see the same scene where the Emperor stands from afar in awe of Mu Yan who wouldn't even know he was even there. But now, the readers have the unfortunate pleasure of knowing all the hurt, betrayal, and complicated feelings that run beneath the serene surface. It shows the relationship between a reader and the story: how different your perception is at the end of it all. And it's beautifully merciless to end it just there. Because now you're in a high where you can't get down from. There's still a lot of questions and unsolved feelings towards the characters but you're not allowed to descend into an ending and move on. There is a beautiful poignancy to the characters. Although I didn’t feel much of the chemistry between the main couple, I was still moved by their circumstances and their tragedies. At times I feel that Rui Xuan (the Emperor) is more of a plot device to enhance Mu Yan (the blind concubine) than an actual character. With how the past happened, the ending was inevitable. 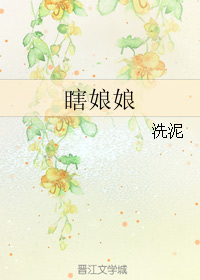 Rui Xuan directly caused Mu Yan’s tragedy, and he has to bear the consequences of his actions. My Yan had to lose his sight, his innocence, his family, his pride, his everything for Rui Xuan’s throne. Isn’t it right that Rui Xuan has to bear the consequences of his actions? Sometimes, love isn’t enough to save a person. Although the ending felt rushed, the actual events were provoking. There is a beautiful symbolism in something coming full circle. The story starts with an emperor staring at a blind concubine who was unaware of the company, and it ends in this manner, but everything has changed. There is no more Yu Li and no more Xiao Bao, Mu Yan is all alone in his ordinary house. The young Emperor now knows what love is, but he can no longer grasp it, but he also cannot let go. There is a beautiful bittersweetness to both characters getting what they want, but not really. Do I dream that one day Mu Yan might be willing to let go of his hatred, absolutely, but I don’t expect to happen, as that is against his character. He already has so little, he should be able to keep something of himself. This is a tragedy of Rui Xuan’s greed. He was greedy for the throne so he blinded Mu Yan. He is greedy for Mu Yan’s love so he cannot let go. Mu Yan is his punishment, someone he wants so badly but cannot have. Overall, this is a beautiful short story with some beautiful characters and the nature of humanity. When I started reading this, I expect a fluffy story about a forgotten concubine and the emperor.. Never knew.. That it could be so dark and hideous but so pure and tragic that left such an empty feeling in my heart. It was a brilliant story, how the story being told. The rollercoaster journey, the point where you think it is over.. But yet it still continuing. Please read and you will know it. This story is really good. I love how the author slowly show us the hidden side of characters. The writing is good too. But then, the ending destroyed all of that. It's not like I can't accept that it's tragedy. But the story and the character didn't lead to this ending at all. There're many many way to end the story more logically. So it made me really disappointed that the author chose to end it this way. Waaahh! I didn’t want to cry, but the MC’s thoughts and feelings really got to me! This novel is quite well-written. Don’t mind the other low-raters. The novel is a tragedy, meaning that it gets real sad. Sure, it doesn’t really get a happy ending, but not all tragedies have to have a happy ending. It’s kind of rushed and as detailed, but the feels you get overrides that. I really loved this novel, however I wouldn’t read it again. Otherwise I’d start crying all over again T^T, lol. Please remember that this story is tagged as TRAGEDY.. Honestly, I don't like these kind of stories.. I hate sad or tragic endings!!!!!! Especially in BL!!!!!! I seriously feel like this author is the type who wants to watch the world BURN.. If it was me, I wouldn't know how to forgive the person who caused me to lose everything in the past and now.. So I kind of understand why the author ended it that way..
Meh tragedy, wasn’t all that sad though. I only wished that the situation wasn’t all that severe but it was treated as so. The Protagonist, the Male lead, Side characters and the story line are all beautiful and charming. The story is complex with twists and turns and I often cried while reading it. Even now when I remember it I get sad. But it's worth reading it even throught tears will be spilled at the end of the story. I was bawling at the end. Though there were some plots that did not add up, this is a great story. I wished things did not end that way. This is one of my favorites but will hurt to read again. A very bittersweet/angsty story about the emperor stumbling on a mysteriously blind concubine who has been forgotten by everyone in the palace. Both people have their secrets and hidden pasts. The translation and writing flowed very well, and the imagery was very vivid. Despite the lack of originality in the plot of the story, it was still an engrossing and emotional read. I wasn't a big fan of the emperor for the majority of the story because he was exceedingly self-centered/spoiled and didn't take care of the MC unless it suited him. But taking into account his status as the emperor (in terms of his spoiled selfishness), he did bring a genuine heart towards the MC which redeemed him a little by the end. Although the main story fades out before a true 'happy ending/reconciliation, ' the author hints at the main relationship's eventual affection with dialogue in an earlier chapter, which is good enough for me. Ah ;w; the feels. The story itself is very good, the plot flows nicely, just that for those with a sensitive heart, I'd advise you to read this in the safety of your room, or don't read it at all. It's neither HE nor BE, a neutral end. Takes on a realistic view, and just, basically I made the mistake of reading this in class and I had to hide in the bathroom to cry it out. Tragic beauty. Warning: This story is a tragedy with a sad ending. But I like tragedies sometimes so... If you also like tragedies, this made me cry a little. Like, not heartwrenching sobbing or anything, but it was pretty sad. because they almost had something, but it was doomed to fail. I read this knowing its a tragedy tag but I didn't know that the entire mood I'll get from the story is sadness. The MC life was so tragic he needed to let go of the people he loves so they'll be safe even if in the end he'll be alone. The only happiness I felt was when he's still staying in the cold palace, when everything was still simple. I'll cling to the first chapter that gave us a glimpse to a far away future where MC and ML is talking to each other. The whole story is understandably ended up in tragedy. I like the little details that the author puts here and there (the description of the settings or some nostalgic memory related to certain character) which welly coraborates with the whole events. The characteristic of the Blind Concubine is also quite interesting. A blind man who seems to be so pure and simple, yet deeply miserable and lonely. The caring emperor who seems to be a sincere helper has his own dark secret. The twisted relationship between the Blind Concubine and... more>> the emperor is well written. The author has done a decent job on sticking to his (her?) vision. The problem is, this vision can fit in one small byte while the story is 20 odd chapters long, covering a few years in time. Also, the chemistry between the MC and ML is not much at all, and it drops to the bottom when the MC finds out the identity of the ML. So what starts out as a cute love story with a mild humorous side to it abruptly ends up leaving a terrible... more>> taste. Although it is a terrible tragedy, there is no scope for redemption, which I think is a flaw when it comes to storytelling. It leaves the feeling that there's something left unsaid. There has to be at least a glimmer of hope left in the end, even if a rainbows and sunshine type of happy ending is impossible. I might only be on chapter four and I may be stopping here because I started reading without realizing the tragedy tag was there but just these 4 chaps were absolutely amazing as you can connect with the characters you feel a smooth dynamic between them all and I'm already crying at chap 4 I can't imagine what would happen if I finished. A fairly good story. The last several chapters made me bawl and left me with a bitter taste in my mouth, but I didn't feel dissatisfied with the ending. Of course, I wished for a happy ending where everyone is alive, together, and happy, but everyone in this case had done too much to be happy together. I actually think the author did a bang up job of making this realistic; the bad guys aren't always punished, the evil deeds aren't always forgiven/forgotten, and getting your wish doesn't necessarily make... more>> you happy. Yes, it makes you bitter and sad, but a happy ending isn't always good, and a good ending isn't always happy. He's watching the scenes go by on his divan as he once did while the emperor is watching him as he once did, but neither of them can regain that happiness they once had. The emperor now knows his sins can never be forgiven and his love will never be requited, while Mu Yan feels completely alone. I wonder if he ever felt he wouldn't have been happier staying in the palace where he could see Rui Zui, even if he had to tolerate the emperor, though he certainly doesn't regret his decision. A beautiful story, one that makes you unable to stop once you start. It pulls at your heart strings and wraps you up in the emotions and ordeals of the characters as each chapter reveals more of the painful past. In the end, both characters got what each of them wanted, but were they actually happy? This was a story about loneliness and really hit home for me.